There are many different types of acne scars and each type may require a unique treatment. Some scars are best treated with injectable dermal fillers to lift up the scar. Other scars are better treated with laser treatments such as the fractional carbon dioxide laser. Depending on the depth of the scars, more than one treatment or type of treatment may be needed. Dermabrasion (rubbing the skin with medical grade sandpaper) can also be used to treat some scars. Scars can develop as the result of acne or other types of inflammations or trauma, such as infections, chickenpox, or surgery. Rarely, but more commonly in darker skin types, scars can develop spontaneously. Most scars improve with time. However, early intervention may affect the way a scar remodels itself and may minimize its appearance. Raised scars respond to steroid injections while vascular scars are better treated with a vascular laser to decrease their blood supply in conjunction with occlusive dressings. These treatments often lead to lighter, flatter, and softer scars. Depressed scars can be removed surgically, especially when small. Alternatively, a needle can be placed under the skin to stimulate collagen synthesis (subcision). Non-vascular laser treatment can be used in two ways. The CO2 and Erbium lasers can be used to resurface and soften the edges. 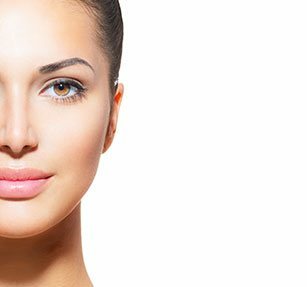 Also, a non-ablative resurfacing laser may be used to stimulate collagen to give a more raised appearance. Collagen may also be injected into the scar. A non-invasive and safe process by which, Levulan®, a photosensitizing agent is applied to your skin for 30 minutes prior to light treatment. Levulan® is a 20% solution of Aminolevulinic Acid (ALA). The skin cells absorb and convert the solution into a chemical that makes the cells extremely sensitive to light. The affected area is then treated with a Blu-U light which kills the bacteria that triggers acne, and reduces the size of the oil glands. There is minimal recovery time with this treatment.